This technique focuses on relieving causes of physical distress, rather than simply treating the symptoms. Dr Ron Fried is a Chiropractor in Rochester Hills who will work to establish normal function in the spine and nervous system so that your body is able to heal itself. Your spine is central to the healthy operation of the nervous system. It is responsible for controlling feeling, movement and all voluntary and involuntary activity within your body. What types of health benefits can chiropractors provide? Treatments with chiropractors can help elongate your posture, correct gait and improve movement in your neck, shoulders, back and torso. They can help alleviate discomfort associated with headaches, neck pain, back pain, muscle injuries and joint pain. Regular visits with a chiropractor can improve athletic performance by enhancing flexibility and range of motion. Pregnant women with back pain, neck pain or headaches may also benefit from seeing a chiropractor. Many chiropractic clinics also offer massage therapy, which works in concert with chiropractic techniques to help relax the body and enhance the efficacy of spinal adjustments. Is treatment with chiropractors safe? Treatment at our physical therapy and sports medicine center in Rochester Hills, Michigan is very safe. 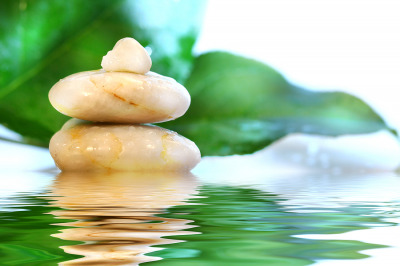 Our staff uses a very conservative and natural approach to achieving wellness. We are able to avoid the use of invasive procedures and drugs that can lead to adverse events. While most patients experience immediate relief following an adjustment, some may experience temporary discomfort or stiffness. These side effects are typically minor and resolve quickly. Do all patients receive the same treatment? No. Treatment at our Rochester Hills clinic is specifically tailored for each patient. The doctor will assess each client's unique spinal issues before developing an individual treatment plan. People seek care at our clinic in Rochester Hills for many reasons. Things like work-related injuries, accidents, sports injuries and household chores can all result in uncomfortable joint and spinal issues that are not resolved by massage therapy alone. Even patients who don't have any concerning symptoms can benefit from adjustments. Regular visits can help them continue to enjoy healthy spine and joint function. What type of education and training do chiropractors receive? They are very well educated. After receiving a bachelor's degree, they must attend four additional years of school to receive a Doctor of Chiropractic (D.C.) degree. The physician must then pass four levels of national board exams and a physical therapy exam in order to be eligible to take the state board exams. The state board exams include both written and oral testing about the intricacies of clinical practice and x-ray analysis. Chiropractors can also receive postgraduate training to become board certified in a variety of specialties, including radiology, neurology, orthopedics, internal medicine, family practice, sports medicine, rehabilitation therapy, clinical nutrition and pain management. Chiropractors must also stay current in their knowledge and training by obtaining required continuing education credits every year.